The Lubats are a Frisch family through and through. Ruth and Ed’s love for Frisch began when the first of their five sons entered the school in 2001, and they have been involved ever since. Ruth served as treasurer of the Frisch Parents Association for ten years, contributing her professional skills as an accountant. Ed, a radiologist and President of Radiology Associates of Ridgewood, has served on the Frisch Board of Trustees for the past 9 years. Ruth and Ed are the proud parents of 4 Frisch graduates and one current student (as well as four daughters-in-law, two of whom are former cougars!). Zachary (‘05) lives in Israel with his wife Sara and three children and works for an Israeli hedge fund. Jonathan (‘07) also lives in Israel with his wife Alyssa (née Offman ‘07) and three children and works as an electrical engineer in the high-tech industry. Alex ‘10 lives in Teaneck with his wife Stephanie (née Abraham ‘10) and their daughter and works in operations management for a pharmaceutical company. Daniel (‘13) lives in Teaneck with his wife Cayla and is currently working in youth programming for NCSY while studying for the CPA. And “baby” Aaron (‘20), a junior at Frisch, lives with his parents in Englewood and is still single and unemployed. Ruth and Ed give Frisch a lot of the credit for the people their children have become: for the superb education, for the love of Israel and Yiddishkeit, and for providing role models of kind and caring human beings. The Lubats have lived in Englewood since 1990. 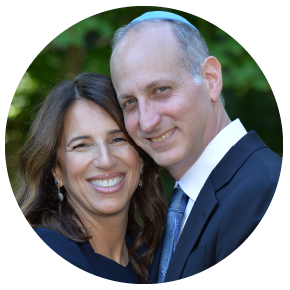 They are proud to be one of the founding members of the other institution that has so profoundly shaped their family: East Hill Synagogue, where Ed serves on the Board of Trustees and as one of the gabbaim. Dr. Nathan (Natie) Fox will always say yes when called upon to help Frisch. He fell in love with the school when his children began attending: first, twins Noam ‘18 and Kira ‘18 – now at Yeshivat Lev HaTorah and Midreshet Torat Chessed, respectively, in Israel – then Nili ‘21. (Mia, the youngest, is twelve). Natie, a specialist in maternal fetal medicine (high-risk obstetrics) with offices in Manhattan and Englewood, is married to Dr. Michal Agus Fox, a school psychologist. They live in Englewood with their four children (and dog, Yogi). For the past two years, Natie has served on Frisch’s Education Committee. 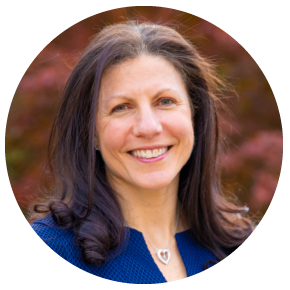 Jennifer Wolf Seidel ‘87 knows Yeshivat Frisch inside and out. She graduated from Frisch in 1987, worked in TV advertising and sales after completing her post-secondary studies and is now a health coach and Pilates instructor. Jennifer is a Frisch parent and dedicated member of the Frisch Parents Association. She and her husband Tzvi, an optometrist, have three children, all of whom have attended Frisch: Jonathan ‘16 (now serving in the IDF), Jeremy ‘18 (in his shana aleph year at Orayta) and Kayla ‘20. It was when Jonathan started high school that Jennifer reconnected with her alma mater, observing that it boasts more opportunities and programs in and out of the classroom than ever before, while integrating each grade meaningfully across academic tracks. As part of the FPA, Jennifer has volunteered as prospective family tour coordinator since 2015, working with the Office of Admissions office to schedule and provide tours of the Frisch campus during admissions season. She is pleased to share her excitement about the school with others. Jennifer and her family live in Bergenfield and are members of Keter Torah. 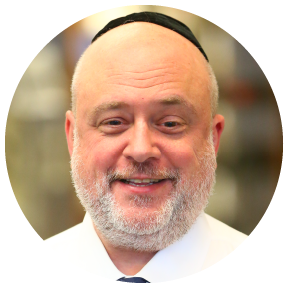 Rabbi Neil Fleischmann has worn many hats over the course of his 23 years at Yeshivat Frisch. He has taught Public Speaking, Gemara and Nach, served as Chair of Torah Guidance, and advised the College Bowl and Model U.N. clubs. Currently, he teaches Chumash, including an elective that he created about life lessons from Torah, serves as an academic guidance counselor, and is the faculty advisor for the Poetry and Improv clubs. Rabbi Fleischmann forges connections with students by getting to know them and guiding through example rather than dictation, advising from his uniquely Torah-infused, yet non-judgmental, perspective. Over the years he has written and presented rhyming parsha poems that have been very popular at minyan and in class. One of his favorite hats to wear at Frisch is his acting hat, which he has donned for many a school program and class over the years. 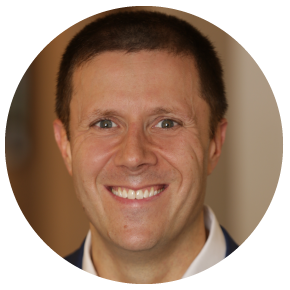 Rabbi Fleischmann holds semicha from RIETS and is a licensed social worker with a Master’s from YU’s Wurzweiler School of Social Work. He is also a writer, poet, actor, and comedian, whose work has appeared in The Jewish Week, The Jewish Standard, Mima’amakim Journal, and All of Our Lives: An Anthology of Contemporary Jewish Writing (Targum Press). Additionally, he is the author of a book of Haiku poetry, In The Field, and is the most recent winner of the Stand Up N.Y. “Funniest Rabbi in New York” competition. Rabbi Fleischmann feels a deep love and connection to Israel, where he learned for over five years. He is thankful for the example set by his parents, of blessed memory, his relationship with his brother’s family, and for his cherished close friends. He is also grateful to all his colleagues at Frisch, especially those who have been there throughout his journey at the school, and to Rabbi Ciner and the rest of the Frisch administration. His favorite thing of all about Frisch is the students – teaching and guiding them during their high school years and keeping in touch beyond graduation. Learn more about special alumni rates here.